For years now, fat has gotten a bad rap. This misunderstood macronutrient can actually provide a wealth of health benefits. It’s time to show fat some love! Thankfully, the war on dietary fat is almost over, but it hasn’t been an easy fight. We can look as far back as 1977, when the U.S. government first told us to follow low-fat diets and minimize saturated fats to reduce the risk of cardiovascular disease, cancer, high blood pressure, and everything in between. What followed was a monumental shift in the food industry toward promoting low-fat foods, slapping low-fat claims on any and every food in sight. Low-fat water? I’ll take that! Interestingly enough, this did nothing to slow down the rates of heart disease, obesity, and type 2 diabetes in our country. In fact, these top the list of chronic diseases in the U.S. So maybe fat isn’t the enemy. After battling decades of fat-bashing, it seems as if the U.S. government, health professionals, and athletes are finally coming to our senses and appreciating fat as an important macronutrient with a myriad of functions and health benefits. With a growing interest in higher-fat diets, it’s time to set the record straight when it comes to fat and your health. Let’s be clear: We need fat in our diet, but not all fat is created equal. Understanding the different types of fat—and knowing which ones are most beneficial—is just as important as including them in your diet. Trans fats, which are commonly found in pre-packaged baked goods—and which may be referred to as “partially hydrogenated oils” on food labels—are associated with an increased risk for coronary heart disease.3,4 Although trans fat are more regulated now than they were 10 years ago, they are still prevalent in processed foods. HDL, often termed the “good” cholesterol, scoops cholesterol from the blood and arteries, delivering it to the liver to be excreted. Although the cardioprotective effects of HDL are a bit unclear, high levels of HDL are generally associated with a reduced cardiovascular risk and potentially act as an anti-inflammatory.6,7 Until medical science provides a solid answer on HDL—which may take a while—aim to keep HDL levels above 60 mg/dL. LDL, often termed “bad cholesterol”, transports cholesterol to cells in the body to be used for a variety of functions. Unfortunately, this can also lead to a buildup of cholesterol in arterial walls, increasing the risk of atherosclerosis and cardiovascular disease. Ideally, LDL levels should measure below 100 mg/dL. I don’t care what IIFYMers say: Having a fried Oreo hardly provides the same amount of quality fats as a grilled salmon fillet. Obviously, the Oreo is delicious, but if your goal is to get more beach-ready rather than develop metabolic syndrome, drop the greasy stuff and stick to high quality oils, nuts, seeds, and avocados. So despite being vilified by mainstream media, fat has stood the test of time and is finally starting to be respected as an important player in our health. 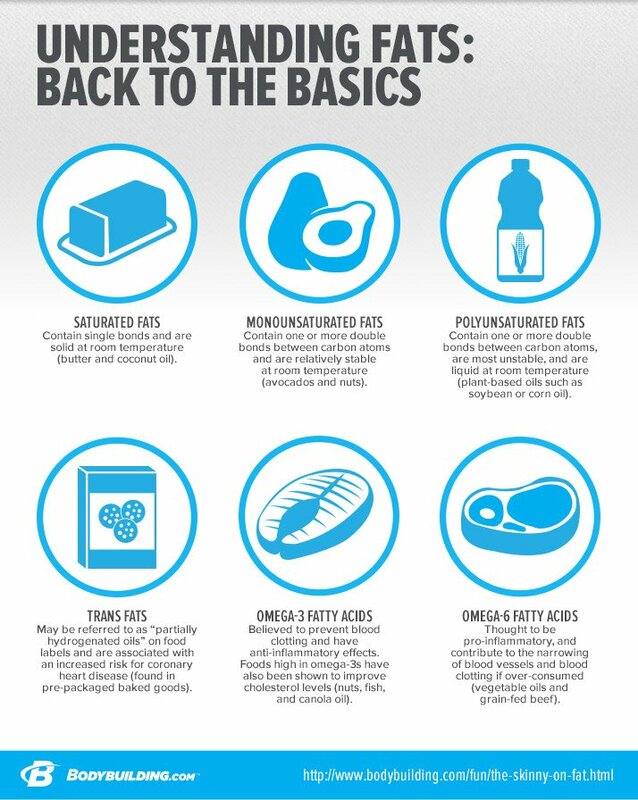 Here’s a rundown of some of the beneficial functions of fat. Ever seen “Flubber?” Notice how Robin Williams can jump out of a 10-story building onto his feet and flubber allows him to bounce back unharmed? This is essentially what visceral fat does for your organs. While it’s unfortunately not neon green like flubber, it’s gel-like consistency cushions our internal organs, particularly during falls or during contact sports. Vitamins A, D, E, and K are fat-soluble vitamins. Without adequate fat, these vitamins couldn’t be absorbed, transported, or used, and deficiencies would ensue. 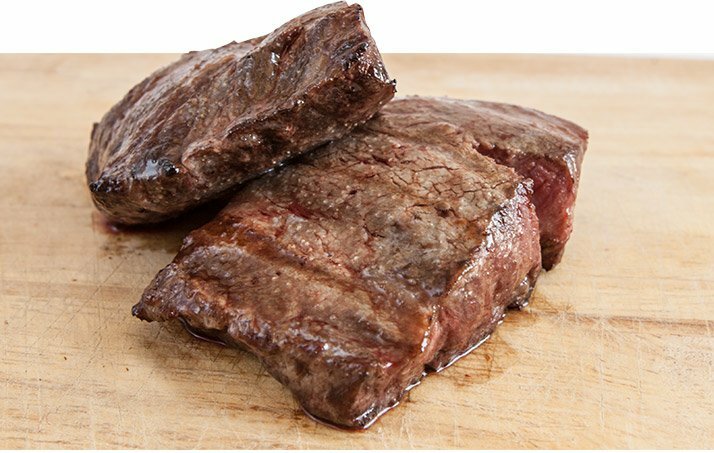 Why does a rib-eye taste so much better than the strip sirloin? Probably due to the fat content! Fat offers a distinct texture and flavor to enhance the taste of food. And if you’re cutting calories, don’t drop all of your fat.